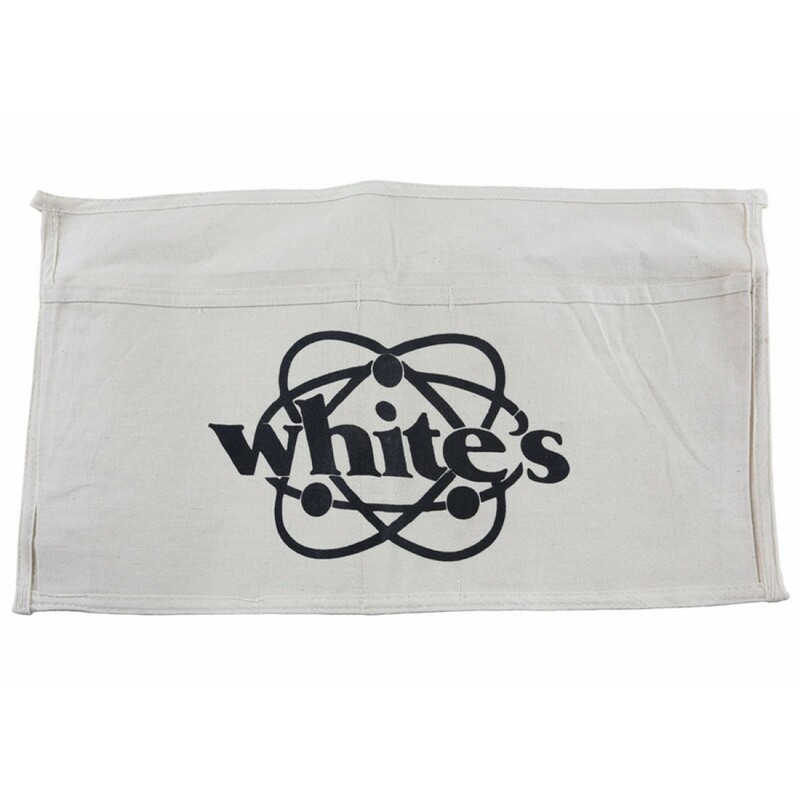 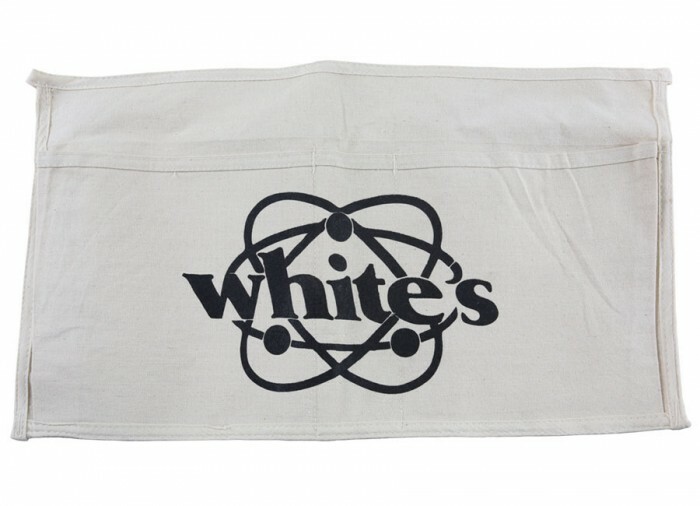 White’s treasure hunting apron is made from a canvas material with White’s logo on it. 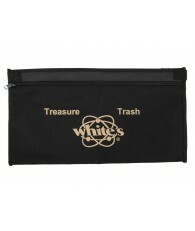 There are two pockets; one for trash and one for treasure to keep finds from being tossed out and garbage from being put back on the ground. 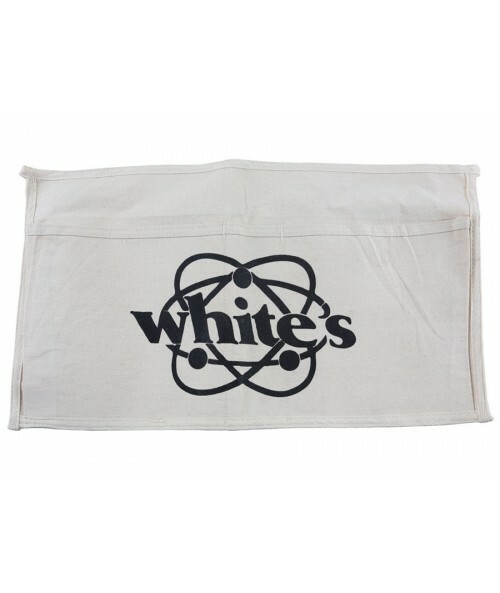 Remember to leave the area you detect cleaner than you found it!